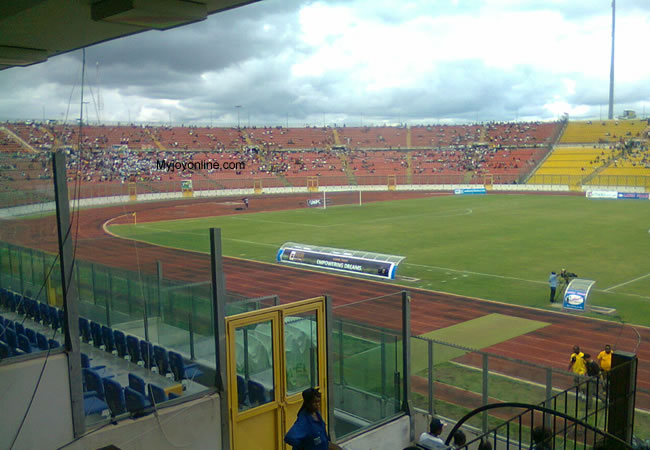 Managing Director of Green Grass Technology Frank Boahene believes the Baba Yara Sports Stadium will be in shape ahead of CAF Confederation Cup clash between Asante Kotoko and ZESCO United on Wednesday, February 13, 2019. Reports went widespread last week that CAF has written to the Porcupine Warriors to take appropriate measures to ensure the venue is in good condition to host their CAF Confederation Cup matches. The club have been instructed to put the stadium in a better condition before they play their Group C matches in the CAF Confederation Cup or shift their home matches to a different venue. Frank Boahene, who has been contracted to improve the pitch has assured that the pitch will be in good shape before the Wednesday's encounter against the Zambian side. “I was told by the Sports Minister (Hon.Asiamah)to come and work on the Baba Yara pitch last week and we’ve been working on it since last Thursday," he told Metro FM. “I have invited another expert to bring his ideas on board and am sure by Wednesday, 13th the pitch will be ready for the game against Zesco United." Mr. Boahene affirmed that poor pitch condition is a continental worry not only in Ghana. “The problems affecting Ghana pitches is across Africa. Most Africa countries face the same challenges. We (Green Grass Technology) can’t do the work alone. We will need the support of everyone to do a good Job," he said.